Having a good understanding of the ways attacks on firewalls that are not adequately secured will help stop your business from becoming a victim of malicious activity. Your network firewall is very similar to the front line of an army; it is the first part of your defense system that the hackers will encounter and attack initially. Any oversight on your part regarding your network security firewall and maintenance of your firewall will gives an opportunity to attack and gain access your business network. So, what are the most common ways in which hackers can take advantage of your weak security firewall and how do you prevent that process from ensuing within your business? Packet filtering gateways and application gateways are the two main kinds of firewall security that are on the market as of the present day. Networks that have a good amount of traffic typically run using the packet filtering gateways rather than application gateways. The reason for this is because the application gateways have a heavy CPU usage causing issues in computers because they are proxies. Those who market these firewalls have attempted to combine both firewall protocols to increase the effectiveness and reduce the computational issues that sometimes occur because of them. ent to check the vulnerability that their network firewalls exhibit. Firewalk is the first tool that is utilized by hackers to find vulnerabilities in the network security firewall. It can be utilized to essentially make a virtual model or representation of the network topology that is sitting just behind the firewall. Firewalk finds out which services are and are not permitted and which ports on the security firewall are open. 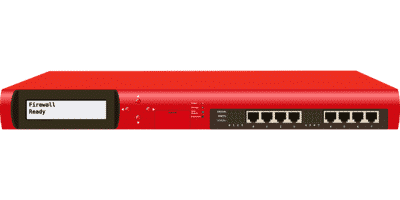 This program sends out packets to each security firewall protected host, allowing them to virtually visualize what parts of the network are not protected by the firewall protocols. This works sort of like a boomerang; the hacker sends packets to the host and when a packet penetrates the firewall, the hacker will get a response reading back for each packet of which were allowed past the firewall. 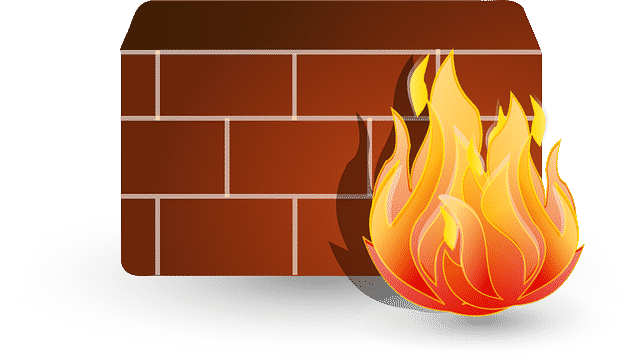 More advanced firewalls have developed an ability to catch these packets in the process and intuitively send back a false response, tricking them into thinking they have a response when they really don’t. efore allow it past the network security firewall. Once the network firewall is penetrated in this fashion, a hacker will use a series of TCP pings to target specific ports that provide it with a way to map out a blueprint that shows the configuration of the network that is being protected (or thought to have been protected). The next tool frequently used to circumvent the network Firewall is called a Rootkit. The biggest advantage of the rootkit itself is that it is not a malware variant such as trojan malware types and viruses. The rootkit is a critical part of the operating system code that is inserted into your computer firmware. This rootkit will be able to replace files in the operating system code that provides it the ability to hide any other types of malware as well as itself. The rootkit will change the logs in the system that would ordinarily show evidence of intruders or malicious processes, and it can disguise the processes running that are operated by malware viruses and trojans. A rootkit can even penetrate your computers BIOS system; the main firmware that practically makes the hardware able to operate. Once the BIOS has been infected with a rootkit, neither replacement of the disk or re installation of the operating system will be enough to get rid of the rootkit infection. Are System Users the Weakest Link? Beyond using these tools outlined above to gain access past a systems firewall, a hacker also uses the limited knowledge of a systems user in order to penetrate the network security firewall. Once the system user is lured to click on an unsafe link, they will then be able to gain entry into any program on the computer system. A businesses firewall and router security can be bypassed when they trick a system user into visiting any web page that does not require user input, authentication, or XSS. Once administrative privileges are gained on a machine, the hackers are given access to the server via backdoor communications because the firewall will now permit the action. Often security administrators will claim that the network your machine is on is secure because the firewall was unable to be bypassed by themselves using their own methods. However, the truth is that just because the security administrator within your business is not able to bypass the network security protocol, this does not mean that other sly hackers out there with more expertise in the matter cannot. How Can My Business Be Protected? Because protecting your business network from all hacking and cyber-attacks is not exactly a feasible solution, the best thing you can do to protect your business network is to make it very difficult to penetrate. The more time consuming and complicated the process is for someone to get through your security Firewall, the less likely they are to use up their own time and resources to attack it. First you need to ensure that it is very difficult to gain an initial toe hold on your businesses corporate network to begin with, and then you need to make it extremely difficult for a hacker to utilize that toe hold on your business network to attack any other systems that are also within the said network. Making a habit of updating your antivirus software frequently will help keep attacks at bay because it will warn and stop you from visiting unsafe web links and downloading unsafe files that can give unwanted access. Putting extra security layers onto your business network such as a strong randomized special character alphanumeric network name and password combination can keep hackers from easily using their tools to unlock administrator privileges on your machine and subsequently on your business network. Whenever an operating system update is brought to your attention, it is important that you install it immediately so that any security patches that have been released and included in said update are installed as soon as they become available. New vulnerabilities in operating systems and other software are being discovered every hour of every day, and as a result of that, security patches are engineered to repair that vulnerability. You cannot protect yourself from the vulnerabilities if you do not install the security patch updates immediately. When downloading any types of files from the web, do your research to ensure that you are only downloading from a trusted source. It is still possible for hackers to compromise the security of the site you are downloading from if that site admin does not have adequate security protocol measures in use to protect them. 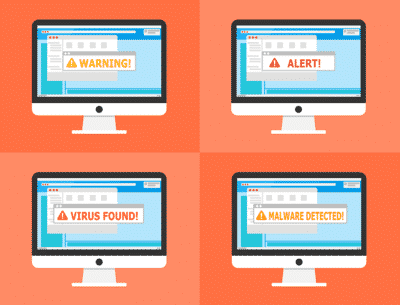 Utilize your malware and antivirus software to scan through all email attachments prior to opening them; this is one of the top most popular ways that hackers will utilize to gain access to your business network. If you have any doubts that a website is not secure, it is best to either not visit it at all or run a scan with your malware and antivirus security software to ensure that it is a secure site prior to visiting it. Always change up your passwords on a regular basis and never use the same password twice or between multiple systems, accounts, or sites. Finally, always shut down your system when you are not using it for longer than a couple of hours, hackers cannot penetrate through a system that is not actively operational. Do not make the mistake of thinking that small businesses are not at as much risk as large corporate entities; as this is one of the biggest mistakes that one can make. Small businesses are targeted due to the lack of a large corporate security network protocol and firewall system. Do not assume that hackers have nothing to gain by gaining access to your small business network, because they have everything to gain and are evolving in their methods down to this very minute. For more information on how you can protect your small business from unwanted outside activity, contact us today!